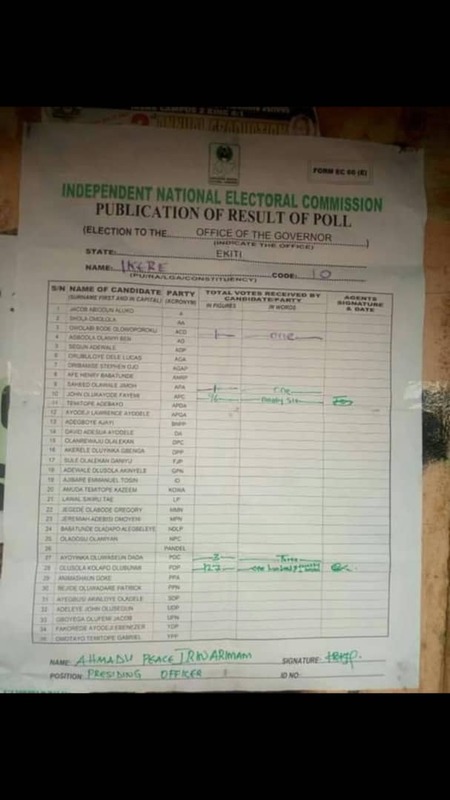 Welcome to GodzGeneral live coverage of the 2018 Governorship elections in Ekiti state. It's unusual !!!!!! 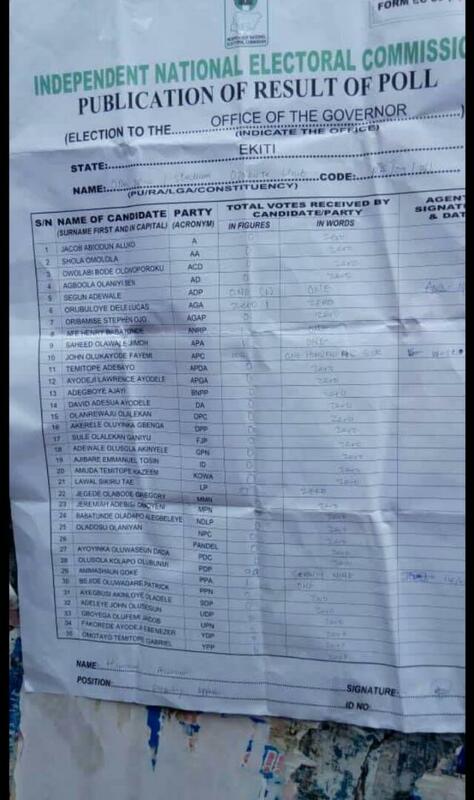 !fayose is complaining bitterly on radio.he said he won but inec is changing votes already. PU: IN FRONT OF PA LAWAL'S HOUSE / OKE AGE ST.
After an intense campaign between the ruling People’s Democratic Party (PDP) and the major opposition in Ekiti state, the All Progressive Congress, (APC), the people of Ekiti has gone to polls to decide who will be the next governor of the state. Although the PDP and the APC are not the only contending parties in today’s Ekiti Governorship elections, there are also other 32 political parties seeking to take over power in the state. 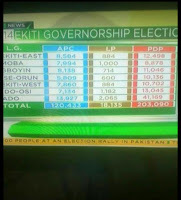 Despite that Dayo Adeyeye is from Ise-Ekiti and from Royal Family, victory is not sure for APC. Emure ward 9 unit 2. ST JOHNS ANG SCHOOL, IRE EKITI. 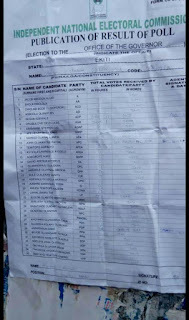 Crisis in Aromoko Ekiti as Ballot box was burn completely at Ward 02 unit 27. Governor Fayose arrives his Polling Unit at Afao to vote. AT Unit 001, Ward 6 in Emure Ekiti: APC thugs in connivance with the Police were apprehended and dealt with. 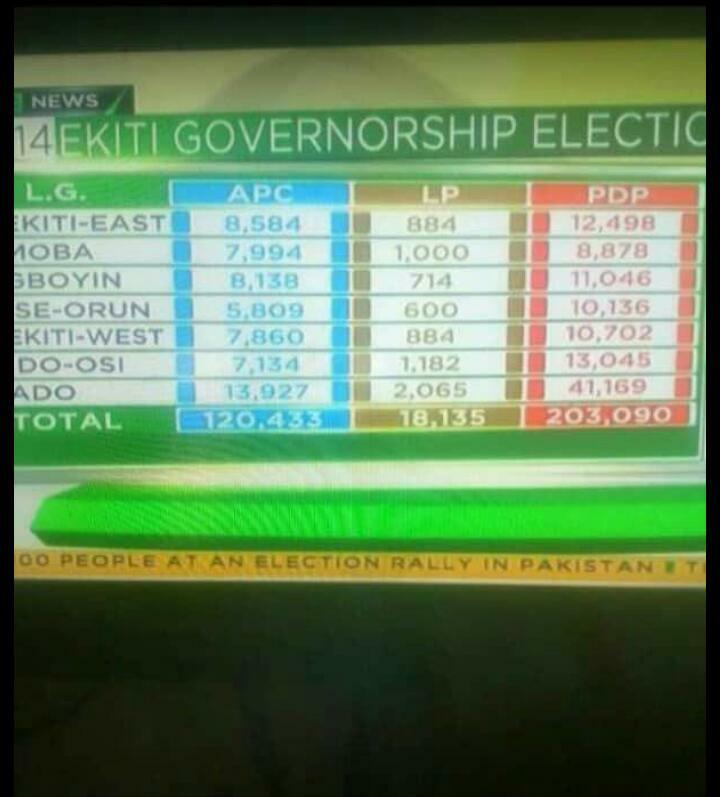 Ekiti People will defend their votes. The NSCDC officials had stormed a house following information that money was being shared to induce electorate. 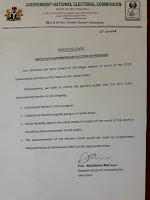 But some residents mobilised themselves to force the operatives away, arguing that it was a rumour sponsored by some politicians to discredit the landlord. However, a policeman in the vicinity used tear gas to disperse the protesters and is conducting search to arrest the alleged offenders. Prof. Kolapo Olusola Eleka finally Votes After going through Manual Accreditation. 65 out of 200 voters have voted in P.U 5 and there are no voters queuing to vote there. Voting has been largely peaceful. 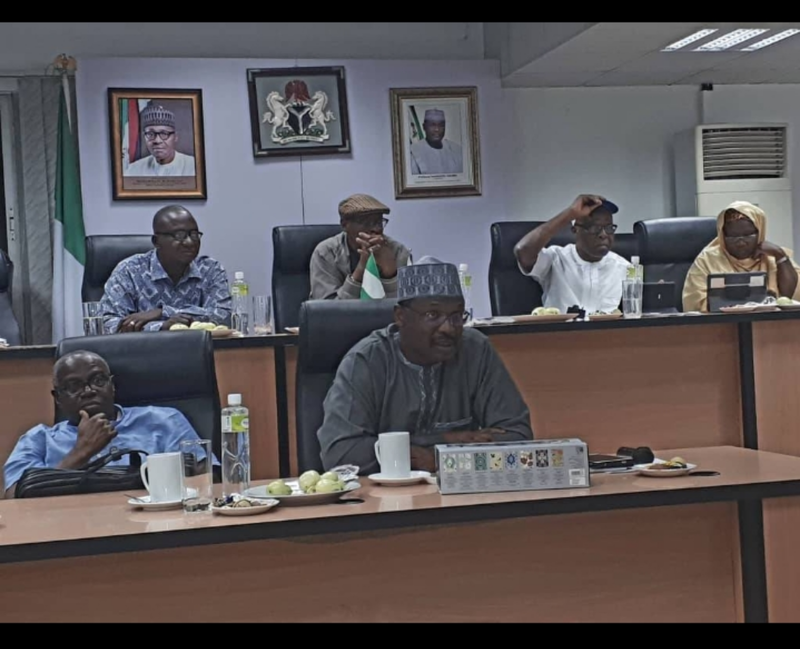 I can announce now that the INEC Chairman has directed that no polling unit should close until the last Ekiti man who wants to vote votes. Votes must count. Prison officer at ward 10/Unit 002 Bank Road In Ado Ekiti Colluding with an APC agent to tell him when people Vote for APC. Another APC ward coordinator with two others connived and ran away with 900,000.00 mobilization fee in Moba Local Government. 8 voters have tried confirmation using the card reader, none has been accredited so far and the election is 30 minutes gone. 10:15AM–Shootings reported in Oke Imesi, a very close town to Efon LG and Aramoko Ekiti, led by a former Attorney General of the state. Soldiers just arrested APC FAKE Election OBSERVERS coming to Ekiti from Akure in SIX Buses. They were arrested at Ikere Ekiti and they are unable to produce INEC letters authenticating them as OBSERVERS. one pours acid on the other. 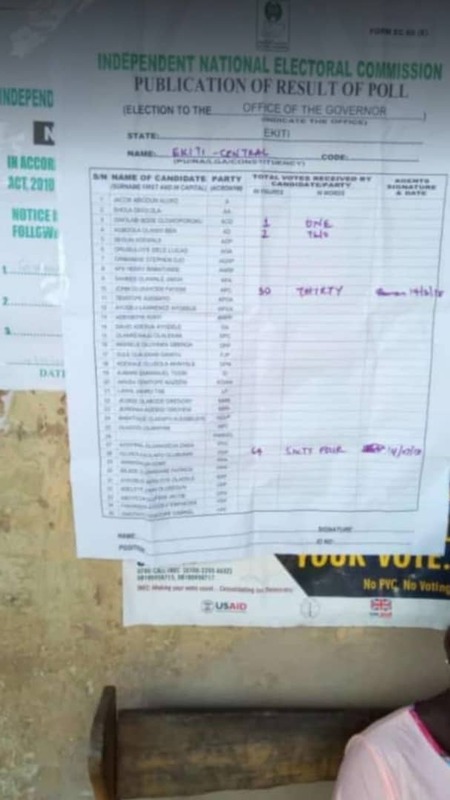 Reports from ilawe ward 7 unit 5, accreditation has been delayed due to failure of the card reader. Inec staff and voters are waiting for the technician that has been called on phone to come and fix it. 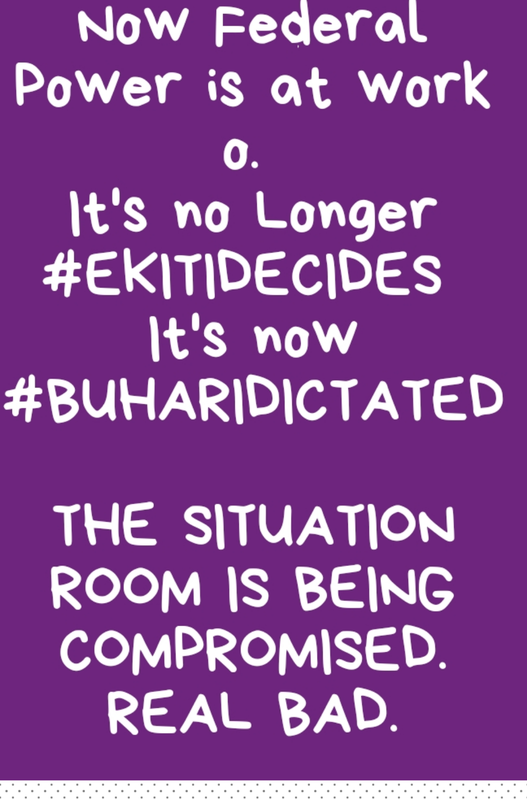 It is not going as they (APC) have planned. Disappointedly for them, EKITI PEOPLE are TROOPING out enmass to perform their civic responsibility. 6:00AM – The tenure of Governor Ayodele Fayose comes to an end on October 15, 2018 having taken the oath of office on October 16, 2014. 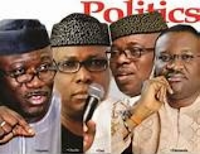 Fayose in the June 21, 2014 governorship election had defeated the then sitting governor, Dr. Kayode Fayemi, who ran on the platform of the APC. Fayose is in his second term having first taken oath of office in 2003 when he governed till 2006 before his impeachment. He is hoping to hand over to his deputy, Prof. Kolapo Olusola. 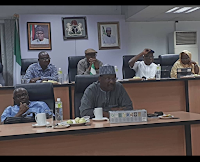 Olusola emerged as the PDP candidate at a primary election conducted on May 8, 2018 and he is contesting against Fayemi, who defeated 32 other aspirants to emerge as the APC candidate at a keenly contested primary held on May 12, 2018. The former Minister of Mines and Steel Development is seeking a return to the office he lost in the 2014 poll. Will Fayose succeed in installing a successor, a feat no outgoing governor had achieved since Ekiti became a state in 1996 and produced a civilian governor in 1999? Will Fayemi, on the other hand, stop Fayose from achieving the record by staging his own comeback to power? 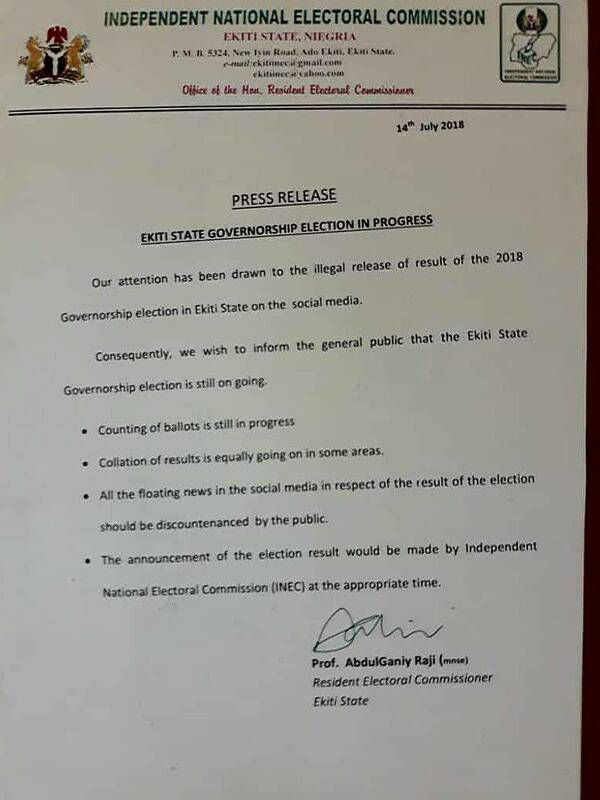 Ekiti State Governor, Ayodele Fayose has told the Peoples Democratic Party (PDP) governorship candidate, Kolapo Eleka Olusola that he will be declared winner by Saturday night. Fayose stated this in a new video, where he could be seen clutching a Bible on his left hand and laying his right hand on Olusola. Olusola, a professor, is the incumbent Deputy Governor of the state, endorsed by Fayose as his successor. “In the name of Jesus! Lord God of heaven, I pray by the grace you have given me to be the leader of this state, I commit you Kolapo Olusola into God’s hands, receive power to succeed me in Jesus name,” Fayose said to which the people assembled shouted “Amen”. “They have come together to destroy the votes; they have come to cause confusion. They boast of their powers in Abuja, we boast in the power of Jesus, we are boasting of your name oh Lord. Lord it is settled in the name of Jesus. “Tomorrow before the night falls, you will be declared, you will be declared, you will be declared!